Sidel is one of the world’s leaders in packaging liquid foods. When Sidièse took over production of the company’s semi-annual magazine, they put together a team of American copywriters to get the May 2011 issue published in record time. 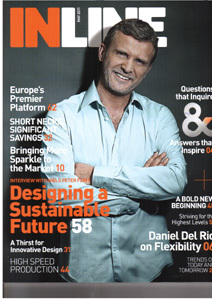 My articles covered client success stories in Indonesia and India and Sidel’s new competence audits and seminar offers for clients around the world. The end client was thrilled with the results and comforted in the decision to outsource production of the magazine.